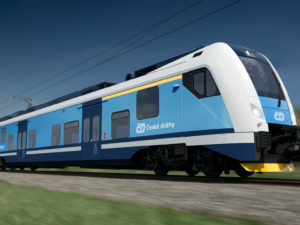 Eisenbahn-Cert (EBC), which is responsible for the interoperability of the European rail system under the auspices of the German Federal Railway Authority (EBA), has issued Škoda Transportation its TSI certificate for its 109E3 locomotives (Emil Zápotek locomotives) and its bi-level high-speed trains for the Munich-Nuremberg Express (MNE). These trains are to replace the current fleet of InterCity trains in spring 2019. These push-pull trainsets ordered by DB Regio AG were originally due for delivery in 2016 and the first locomotive was unveiled at InnoTrans 2016. 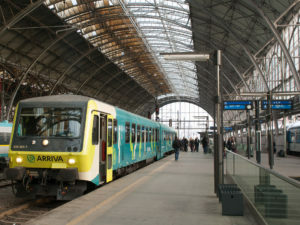 However, Skoda now says it believes it will have delivered the fleet of six trainsets by June 2019. The Munich-Ingoldstadt-Nuremberg line is the most important in the German state of Bavaria. The travel time between the two end cities is 105 minutes, making them half an hour slower than DB’s ICE trains. The train, which was again displayed at InnoTrans 2018, will travel at a top speed of almost 190km/h. It will have first and second class seating, with 676 seats in total at DB Regio AG’s request. There are 37 spots for bicycles as well as space for passengers with reduced mobility. In addition to these features the trains’ cabins have been made pressure-tight so that they can pass other trains in tunnels at speeds of up to 300km/h. Furthermore, the trains have barrier-free access for platforms 760mm in height. There is a special children’s area, and, as modern passengers have come to expect, there is wifi on the trains as well.